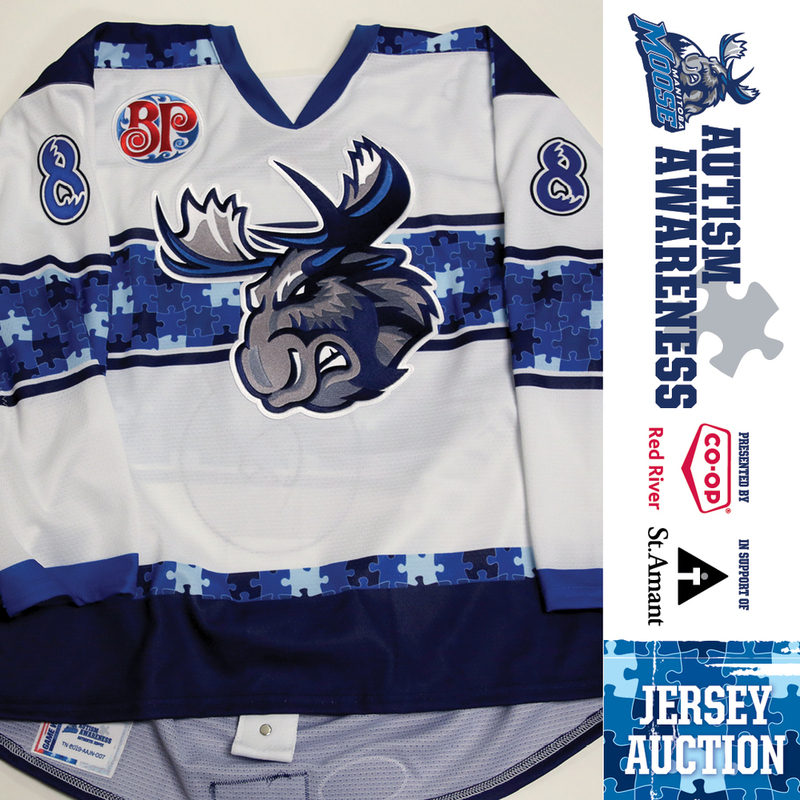 You are bidding on a Game Issued Manitoba Moose Autism Awareness hockey jersey (size 54). 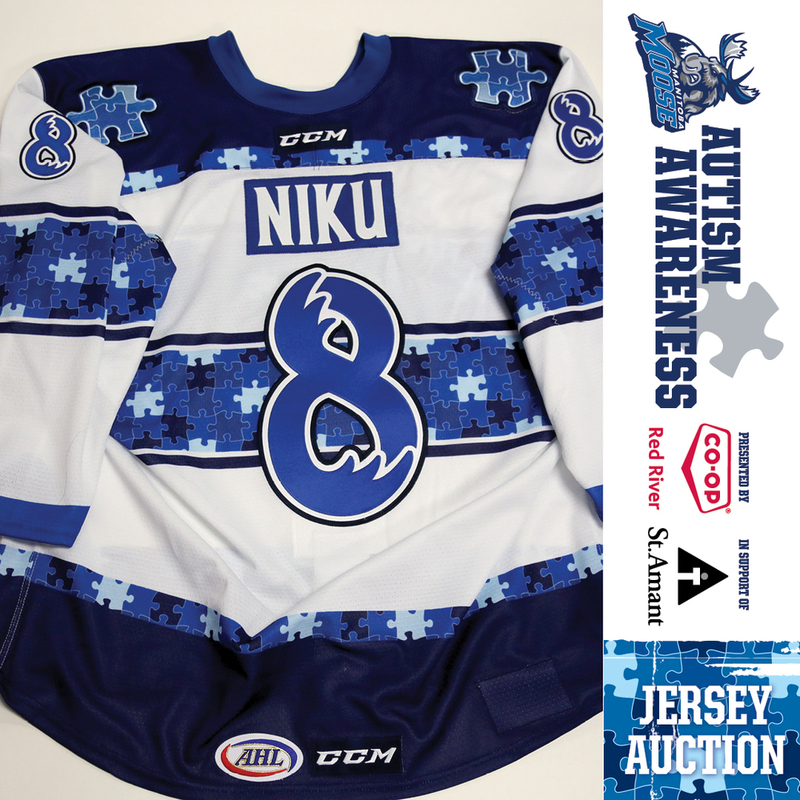 This unique jersey was issued to be worn during the game on March 9, 2019 when the Moose took on the Rockford IceHogs . All proceeds from the auction will benefit the St. Amant Foundation. All winning bidders will receive an Official Manitoba Moose Certificate of Authenticity. Local winners have the option to pick up this item.